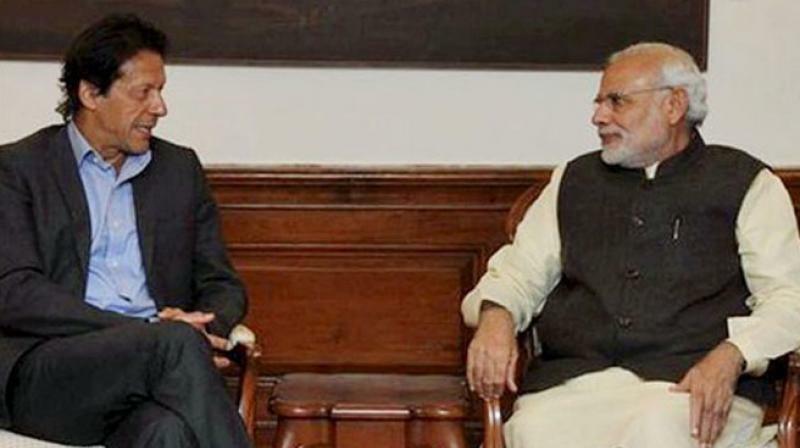 Well before Indian elections conclude on 23 May 2019, Imran Khan announced his desire for talks with the ruler of the Hindu State, Modi, over Kashmir. In an interview published on 10 April 2019, Imran told the BBC’s John Simpson that the Kashmir issue “has to be settled” and “cannot keep boiling like it is.” Earlier, on 9 April 2019, Imran declared that a win for Modi’s BJP would make talks over Kashmir more likely, declaring to Reuters that, “Perhaps if the BJP – a right-wing party – wins, some kind of settlement in Kashmir could be reached.” Just who is Modi exactly, that Imran regards as a suitable figure for settling Kashmir? Modi was the Chief Minister of Gujarat at the time of the horrific, extensive massacre of the Muslims there, in 2002. Modi was the Prime Minister when pellet guns were widely used to blind Muslims of Occupied Kashmir. In order to win elections, Modi violated Pakistan’s air space and maintains firing across the Line of Control. And it is Modi that boldly declared on 8 April 2019 that he will repeal the special constitutional status of Indian Occupied Kashmir, if he returns to power. Yet, despite all this, Imran regards Modi as worthy of settling the Kashmir issue. Can it be imagined that Muhammad bin Qasim (raheemullah) would have negotiated a settlement with Raja Dahir, over the fate of the very Muslims he was oppressing? O Muslims of Pakistan and their Armed Forces in Particular! Imran is marching on a path of compromise with the deeply hostile Hindu leadership, blind to the requirements of our Deen, assisting Modi to stay in power. Imran released the captured Indian fighter pilot, Abinanthan, to Modi, so quickly that we were all taken aback by Imran’s hastiness. The Bajwa-Imran regime exercises restraint, whilst Modi uses our troops and civilians in Azad Kashmir as target practice for winning votes. The Bajwa-Imran regime bends before the Hindu Mushrikeen, even though Allah (swt) said, لَتَجِدَنَّ أَشَدَّ النَّاسِ عَدَاوَةً لِّلَّذِينَ آمَنُوا الْيَهُودَ وَالَّذِينَ أَشْرَكُوا “You will surely find the most intense of the people in animosity toward the believers [to be] the Jews and the mushrikeen.” [Surah al-Maidah 5:82]. And the regime gives us hope of peace and security through talks with the Hindu Mushrikeen, even though Allah (swt) said, ما يَوَدُّ الَّذِينَ كَفَرُوا مِنْ أَهْلِ الْكِتَابِ وَلاَ الْمُشْرِكِينَ أَنْ يُنَزَّلَ عَلَيْكُمْ مِنْ خَيْرٍ مِنْ رَبِّكُمْ وَاللَّهُ يَخْتَصُّ بِرَحْمَتِهِ مَنْ يَشَاءُ وَاللَّهُ ذُو الْفَضْلِ الْعَظِيمِ “Neither those who followed earlier revelation who deny the truth, nor the Mushrikeen like to see good bestowed upon you from your Sustainer; but Allah bestows grace upon whom He chooses- for Allah is limitless in His great bounty.” [Surah al-Baqara 2:105]. Enough of the compromising regime that marches on a path that defies the guidance of our Lord (swt)! Occupied Kashmir will be liberated as Azad Kashmir was before it, by the fire and steel of Muslims seeking victory or martyrdom. And it is only the Khilafah (Caliphate) on the Method of Prophethood that will mobilize our willing and capable armed forces, in a decisive battle of liberation. Imran is no Mohammad Bin Qasim my friend.